I had a request last week to make something pumpkin-y for the blog. 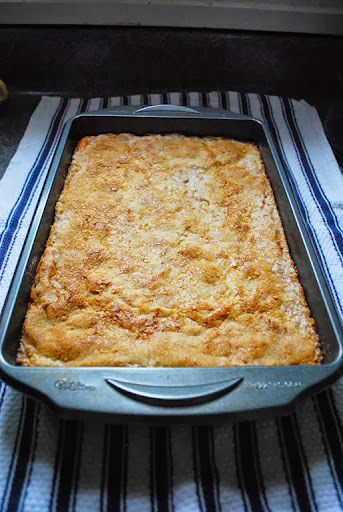 :) This is my family’s vintage “go-to” pumpkin recipe (easier than pie or pumpkin roll)—and equally delicious. Preheat oven to 350 degrees. Reserve 1 cup of the yellow cake mix for later. To the rest of the mix, add 1 stick of melted butter and 1 egg. 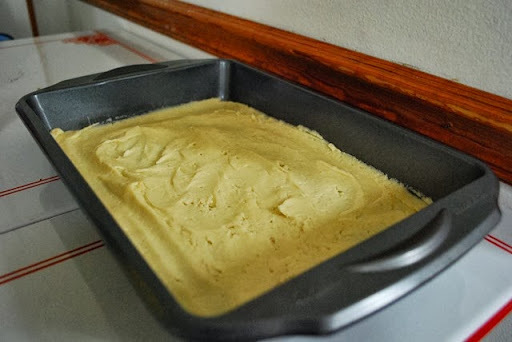 Mix and pat into the bottom of a 9x13 pan. 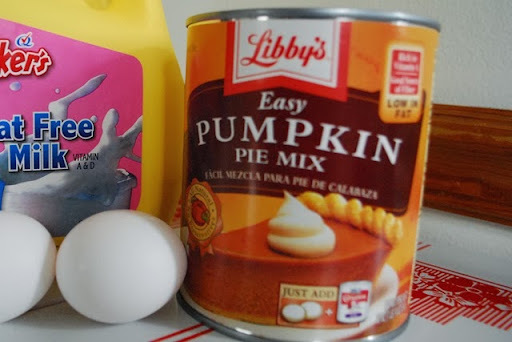 Mix the can of pumpkin pie mix with 2/3 cup of milk and 2 eggs. Pour over the first layer in the pan. 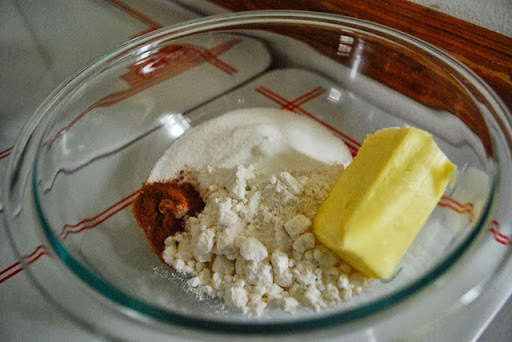 For the third layer, stir together your reserved 1 cup of cake mix, 1/2 stick butter (you can chop it into tiny pieces—cold or room temperature), 1/4 cup sugar, and cinnamon. 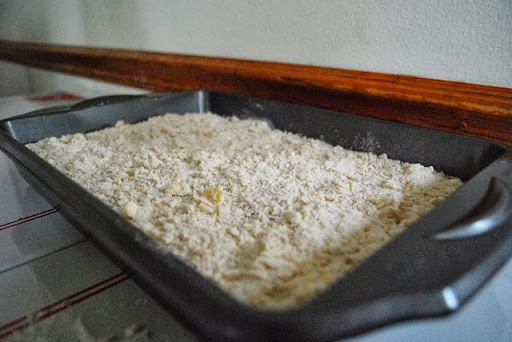 Crumble the mixture on top and bake for 50 minutes. Let it cool before serving. I like to keep the leftovers in the fridge. 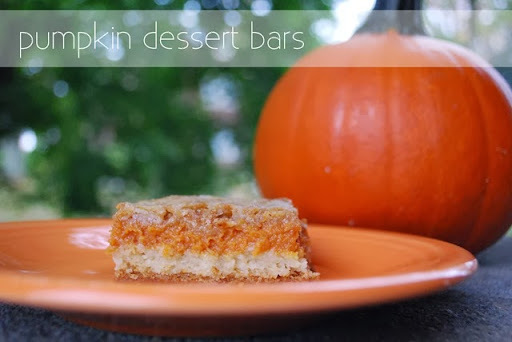 This is definitely a recipe to “pin” for a fall dinner party or for Thanksgiving! Yum! Looks delicious! Will have to give it a try for a fall-themed baby shower I am hosting next week! Looks great and super easy! I will definitely be making it for the holidays this year :) Thanks Rachel! I love that this starts out with a cake mix, that's my kind of baking! But honestly you had me at pumpkin. 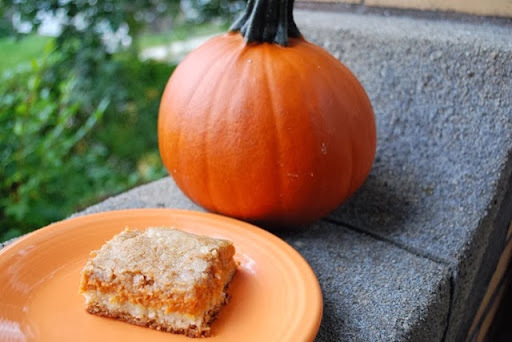 Fall desserts are the best! This sounds divine. I'm going to have to put this on my list of things to try! Thank you! Do you think you could use just straight canned pumpkin if you added more cinnamon, cloves, and nutmeg? That's a great question! 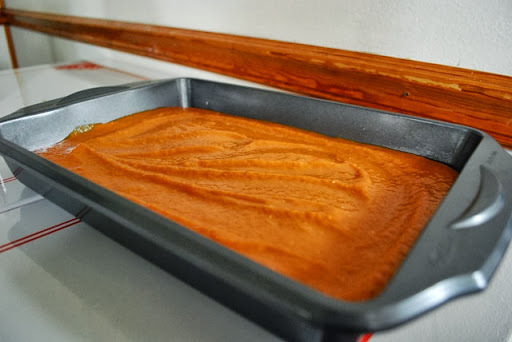 Looking up the ingredients for pumpkin pie mix online--I am thinking that you could just add 1 tsp cinnamon, 1/2 tsp ground ginger, 1/4 teaspoon ground cloves, 1/2 tsp salt, and 3/4 cup of sugar. You may only need 1 (15 ounce) can of pumpkin. Thanks! I try to keep sugar in recipes low, so I'll substitute some raw honey or pure maple syrup into the pumpkin "mix". I may try this sometime soon, so if I do I'll definitely keep you posted! I make something almost like this and it is so easy and wonderful! After reading your post I want to make it this weekend!